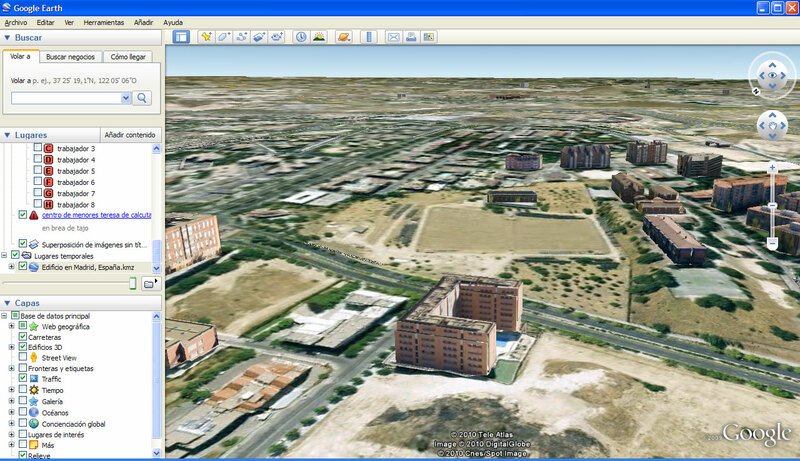 Ever tried Google Earth 3D Building Maker? I started modelling 3D buildings quite a few years ago, I used to use 3D StudioMAX… After almost forgetting everything i knew about modelling, 3D and so on Sketch up was released by Google. In a few days i was not just making demos but working and producing!!! Its extremly easy!!!!. Now They have just released something called “Google Earth 3D Building Maker” and its amazing, theres no need to know anything about modelling, you just have to insert polygons and move vertexes…very intuitive indeed!. place the number of polygons you need…move their vertexes to the proper position. 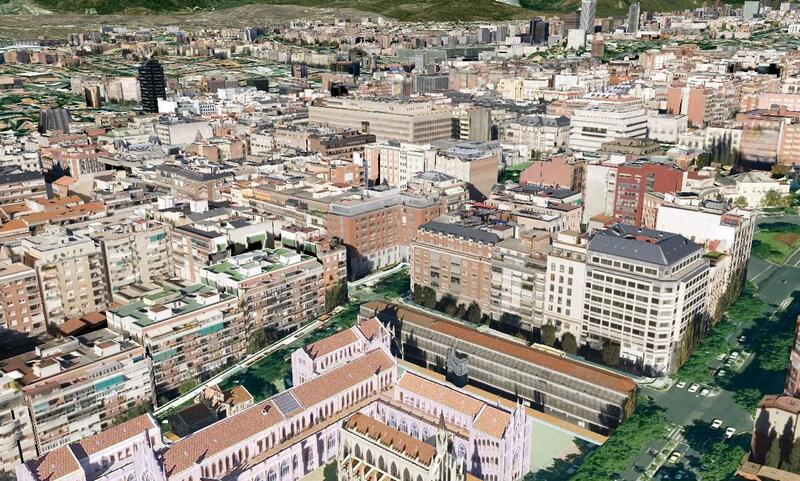 And finally take a look at it inside Google Earth… that’s it!. You can always use Sketchup to perfect it… but it’s good enough…a piece of cake! Some of the buildings located in Madrid and Cape Town are mine! 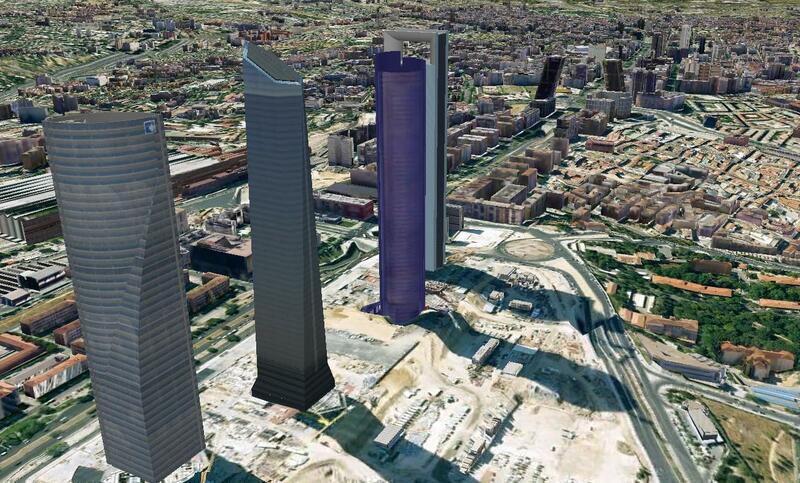 My actual city, Madrid, goes 3D! 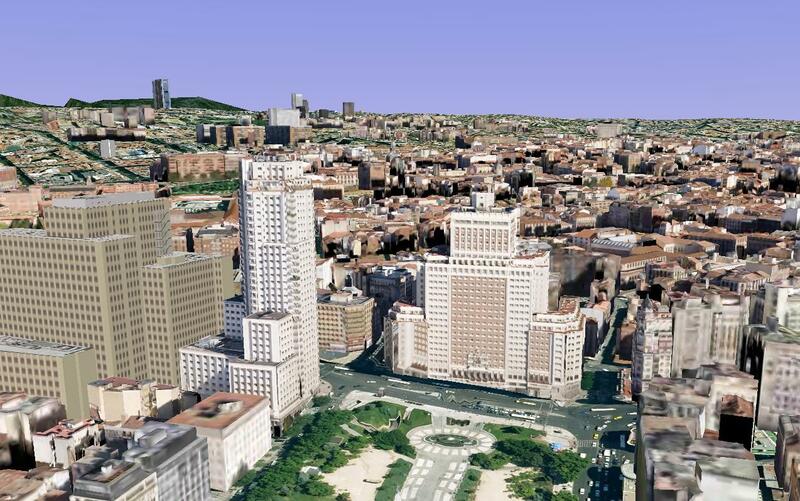 Madrid, Spain is the latest city to be introduced to the 3D Buildings layer in Google Earth. The City of Madrid contains scores of beautiful structures ranging from art museums and classical monuments to palatial government buildings. The prevalence of architectural wonders may explain why passionate geo-modelers have created thousands of models there (using both Google SketchUp and Google Building Maker) — the largest concentration of 3D models anywhere the world! To start your virtual tour, I recommend you fly to El Palacio real de Madrid (Royal Palace of Madrid), the official residence of the King of Spain. From there I’d fly over to the Puerta de Alcalá, a famous classical monument located in the Plaza de la Independencia (Independence Square), and then over to the Monumento a Alfonso XII en el Parque del Buen Retiro, a beautiful monument that is among the greatest in Europe. And don’t miss the Plaza de Cibeles where the famous statue Fuente de Cibeles is surrounded by trees and beautiful buildings, including the stunning Palacio de Comunicaciones(Madrid City Hall) and Banco de España (Bank of Spain) buildings. If I were to visit Madrid for real, I think I’d want to stay at the Palace Hotel, which is a short walk to the famous Prado Museum (one of my all-time favorite models in Google Earth) where you can fly inside and experience the great works of art.